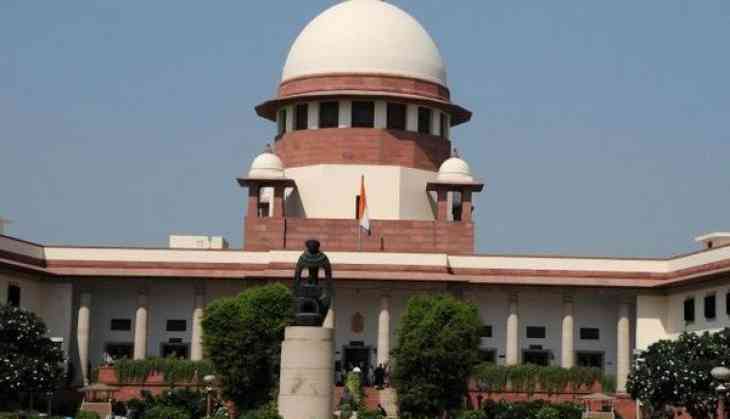 The Supreme Court on Monday extended the house arrest of five activists held in connection with Bhima Koregaon violence till September 19, which is also the next date of hearing. The five activists -- Sudha Bhardwaj, P. Varavara Rao, Gautam Navlakha, Arun Ferreira and Vernon Gonsalves -- were detained on August 28 from various cities for their alleged involvement in the violence. They have been under house arrest since August 29. The apex court bench, headed by Chief Justice of India Dipak Misra informed that the central government wants to produce the case diary and other evidence on the same day. Senior lawyer Tushar Mehta, who appeared for the Maharashtra government, opposed a petition seeking an independent investigation in the case and immediate relief from house arrest. Making his argument, Mehta claimed that those who had filed the petition are neither related to the case nor do they have any idea about it. "There are many alleged incriminating documents recovered from the accused. The accused persons have not only been arrested for their alleged involvement in the case but they also seem to be disrupting peace in the country," he added. Senior lawyer Maninder Singh, who represented the central government accused all five activists of increasing threat of the anti-social activities. "The menace of Maoists and Naxalites is increasing day by day, and it is these accused persons who are responsible for the increasing threat of the anti-social activities," Singh said. He also raised objections over petitioners filed in the top court and said, "They (Petitioners) have options to approach the lower court, high courts or even other legal options to seek redressal." However, on this argument, Chief Justice of India Misra observed, "We entertained the case on the foundations of liberty. Issues like independent enquiry, etc, comes at a later stage." Senior lawyer Abhishek Manu Singhvi, who appeared for many petitioners and submitted to the apex court that the case should be properly investigated by a Special Investigation Team (SIT) or there should be a court-monitored probe. Giving arguments over directly approaching the Supreme Court, he said that they have directly come to the apex court, as they only need a court-monitored investigation or a Central Bureau of Investigation (CBI) or National Investigation Agency (NIA) probe, to ascertain what the case is and who is involved in it. Defending the activists, Singhvi argued, "Out of 25 cases against accused Varavar Rao, he was acquitted in all cases. Vernon Gonsalves, was acquitted in 17 cases out of a total of 18, and Arun Ferreira was acquitted in all 11 cases. No accused was present in the programme of Yalgar Parishad and even the FIR does not have names of any of the five accused persons in the case." After hearing his arguments, Chief Justice of India Misra observed, "We are not going to any extreme propagation, but wanted to see whether the case is connected to Code of Criminal Procedure (CrPC) or Article 32 of the Indian Constitution." The clashes that erupted in Pune in January this year during an event organised to mark 200 years of the Bhima Koregaon battle claimed life of one person and injured many people, including police personnel.